Can the impact of in-person Atlas CareMap Workshops be replicated through online media, making them more widely available? Can successful adoption of Atlas CareMaps be accelerated through cross-organizational sharing of experiences? How are social services and systems impacted when the Atlas CareMap is incorporated into existing processes that touch family caregivers? This is the fifth and final in a series of five blog posts on the 2017 Mapping Santa Barbara project. The previous four posts gave an overview of the project and key findings; looked at the transformational impact experienced by the Promotores; examined the discoveries of those involved in Mapping Yourself; and described institutional adoption of Atlas CareMaps. You can download the full Mapping Santa Barbara final report. While Atlas CareMaps were a huge success in Mapping Santa Barbara, it was also clear that there was a lot of untapped potential. Although about 100 people participated in CareMap Workshops, there was room for 200 people (so half the capacity was unused). Although social workers at Family Service Agency (FSA) and Marian Regional Medical Center were very pleased with their efforts to include Atlas CareMaps in their work, there was very little sharing of experiences and best practices. For 2018, new efforts will explore ways to improve on both of these issues. While the two-hour, in-person CareMap Workshops have proven to be very valuable, they also require participants to devote considerable time (two hours, plus transportation time) and to be at a certain place at a certain time. For many family caregivers, being already overwhelmed and overscheduled, such a commitment is very difficult. 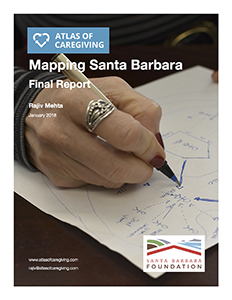 So, in 2018 Atlas of Caregiving, with continued support from the Santa Barbara Foundation, will be experimenting with a combination of online, self-learning materials and online group conversations. The goal is to make the experience of the CareMap Workshop much more widely and easily available, without degrading the impact. We will also be working to create an Atlas CareMap community-of-practice amongst professionals using Atlas CareMaps in Santa Barbara County. Given the busyness of the professionals, and the size of the county (the two major cities Santa Barbara and Santa Maria are more than an hour apart), there has been much less information sharing amongst the professionals than everyone would like. To spark more interchange, Atlas will be organizing and moderating a series of web-conferences for these professionals. 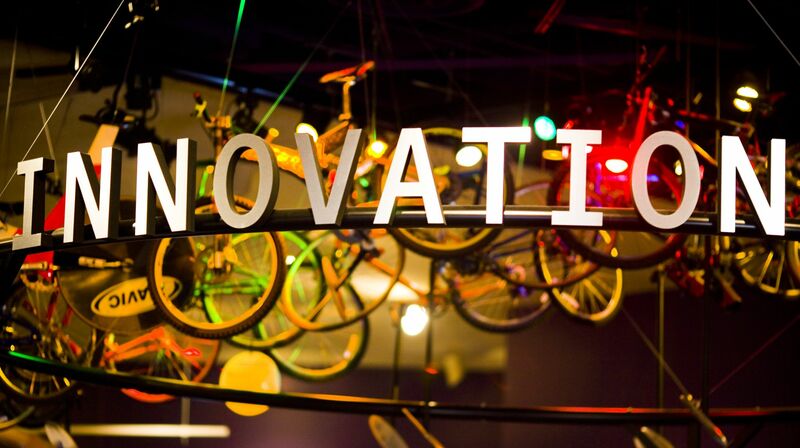 Photo: “Innovation” from the Flickr collection of Thomas Hawk.